Ken keeps swinging... Ken always works it out! I have worked with Ken on a number of my projects, and have found him to be very professional in his approach to all aspects of recording, very easy to work with, and is both technically adept, and creatively responsive to the artist needs. if you have the opportunity to work with him you won’t be disappointed. Eros Creative and Sound affords singer/songwriters and bands—as well as actors, voice over artists, and filmmakers—the opportunity to enhance, develop, and showcase their works with producer, engineer and mixer Ken Eros within a professional yet relaxed recording studio and mixing environment in the beautiful Ojai, California valley. We offer Source-Connect (a higher-fidelity alternative to antiquated ISDN), visual cue Streamers, and Skype for the remote recording and monitoring of commercial voice overs and film/television ADR. Ken Eros is the BOMB!!! His power in the studio is unmatched! He has this wonderful sense of balance that allows him to pick up any instrument and play it like the console. He ALWAYS delivers and is our first-call conduit for recording projects. California-based producer / engineer Ken Eros is a vocalist, multi-instrumentalist and songwriter with a powerful baritone-tenor voice crossing genres as diverse as R&B, Soul, World, Rock, and Pop. He is a founding member of and performs as guitarist and one of three principal singers for the Celtic / World / Trip-Hop band Green Man, and his multiple-octave range landed him the lead role in Andrew Lloyd Webber's rock opera, Jesus Christ Superstar. His production, engineering and mixing skills have helped several artists attain Grammy® nominations, including the 2007 Grammy® nominated Truth, by celebrated Blues and Jazz artist Robben Ford in the "Best Contemporary Blues Album" category, and a 2005 Grammy® nomination for Be Bop Your Best, by recording artist Red Grammer, in the "Best Musical Album for Children" category. Read Ken's featured interview in the Creative Fathers issue (#10) of ChildGood Magazine. It has been my absolute privilege to work many times with Ken Eros on various musical, film and television projects. With everything Ken does, there are compliments all around about the quality of the work and the professionalism and expediency with which he delivers the project. He’s one of my favorite people that I’ve ever worked with and I cannot recommend him highly enough as a talented and consummate professional. "Best Musical Album For Children"
By reviewing and understanding what processes are available and relevant to you, together we can establish a roadmap designed to help you quickly and effectively reach your artistic and production goals. You'll definitely see rabbits pulled out of hats! 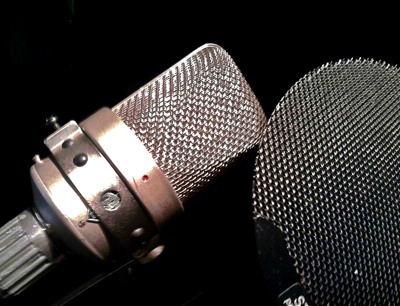 Automatic Dialog Replacement (ADR) is commonly used in the television and film industry to correct and replace dialog spoiled by noisy set environments or recording techniques, electronic glitches, etc. It is also used creatively by actors and directors to introduce new dialog or approaches to existing dialog, in order to reshape or fine-tune the focus of a scene. Eros Creative and Sound offers Source-Connect (a higher-fidelity alternative to antiquated ISDN), visual cue Streamers, and Skype for the remote recording and monitoring of commercial voice overs and film / television ADR. There are times when a client comes in with just a germ of an idea and a "could you make it sound like..." sense of what they want to hear. Do you like to write songs or lyrics but don't play an instrument? Maybe you know someone who writes beautiful poetry and have always thought it would make a great song. This is where our studio really shines. If any of these things sounds like you, we can help. Let us turn your idea, song, or poetry into a fully-realized or newly revitalized work. This service also makes a great gift idea for a budding songwriter or non-musical creative writer. Some artists are interested in hiring me solely as an engineer -- that is, to capture the parts they've already arranged and decided on; others are seeking a producer’s professional insight and assistance with their recording (i.e. selecting the best takes, developing and fine-tuning parts, working on arrangements, hiring session musicians, etc. )—either way, your project is guaranteed the complete and personal attention it deserves. Vocal arrangements—either simple or stacked a la Todd Rundgren -- are my personal favorite and specialty. 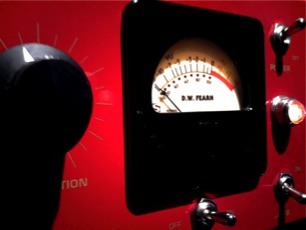 Mixing can take on several forms. 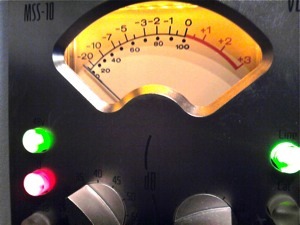 A rock band might only want their songs mixed in a way that best represents what and how they perform live, therefore a deliberate yet modest approach to levels balancing, compression, equalization and panning might be the answer. 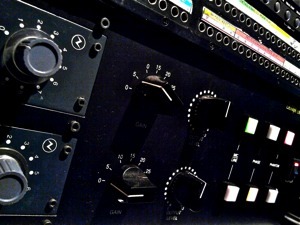 Electronica or dance remixers will often times create their songs “on-the-fly” during the mix stage, in which case we might explore some more aggressive or artistic mixing options and techniques. Dance remixes focus even more on pushing song elements and transitions in excitingly new and radical directions. 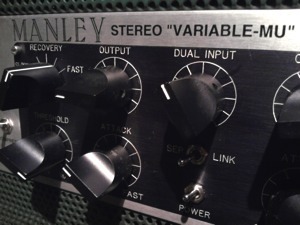 Whatever your wishes, an outside and objective ear might be just what your songs need. What is sweetening? Simply put, it is a form of enhancement designed to make the song “better.” It can be the addition of hooks that stick in your head and make the song memorable (e.g. signature guitar licks, a static drum beat, vocal shout-outs, etc.). The careful placement of new elements such as single, stacked or round-robin vocal harmonies; light percussion (e.g. hand-drums, shakers, tambourine, clavs, and of course... more cowbell... I gotta have more cowbell, baby! ); synth pads, string or horn arrangements; and piano or guitar accents can all add to the excitement and turn a good track into a great track. A first rate engineer whose talents are enhanced by his imaginativeness. Comping & tuning vocals or solos is an art in and of itself. Often times a new band or artist will track a solo or vocal several times and then simply go with the last version—completely ignoring previous takes that might contain a forgotten gem. Creating a final take from "the best of the best" takes is commonplace nowadays, but the process is sometimes difficult and tedious, and the outcome can sound unnatural in the wrong hands. The trick is to be judicious (and maybe a little masochistic) and use the proper tools sparingly. I don’t use the ubiquitous “popular” tuning program—and unless we're going for an effect or the client/label specifically requests otherwise—I fix only the notes that really need fixing, and tune everything by hand. Track alignment is used to tighten-up vocal harmonies (single voice or stacked) and deliver punch and precision to an otherwise loose song. It can also be used to lock-in the drums and bass. 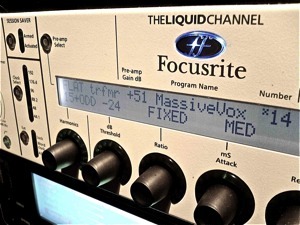 Sound replacement is a powerful tool normally associated with drums—in particular, either poorly recorded or single-file stereo drum tracks—and is used to either fully replace or add dimension and support to existing tracks. 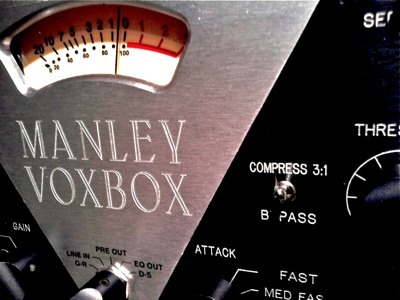 It can also be used to replace poorly recorded live vocals. Ken's attention to detail pulled us thru a long, kickass day of rock-n-roll! Sometimes it's better for me to come to you. It doesn’t always need to be a remote truck with all the trimmings, just something simple and effective (yet multi-track and high quality) that can be used for archival purposes or editing, mixing and release at a later date. On-location recording is useful for voiceover actors needing to create and email an audition to their agent; authors looking to record an audio book; bands working on new material, demos to present to booking agents or fine-tuning their set for an important live showcase. Whether you need a custom audio backdrop, a cover of an existing song, or you're looking for “one stop” music that is immediately available for master and synch licensing, my experience and relationships with a wide variety of artists crossing multiple musical genres can help. If you are a music supervisor and wish to review or license the 100% pre-cleared catalogue of Green Man, get in touch. Ken is a fantastic producer and engineer. Besides having a wonderful ear and a great work ethic, he will put lots of personal care and compassion into your project. I know first hand! 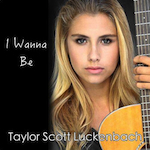 Taylor's debut single "I Wanna Be" is also her first foray into the world of recording. After bringing in a rough demo as a template, we discussed the direction she wanted to take her song and ECS created the backing tracks. Taylor returned to the studio to lay down her guitar and vocals followed by guitar great, and Taylor's teacher, Alan Thornhill who generously contributed lead guitar throughout. Her unique and advanced vocal style and writing approach, skills on the guitar, and willingness to collaborate and experiment make Taylor a dream to work with. Keep checking back for more songs from this promising new artist. 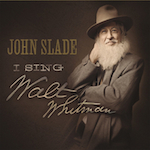 Actor/recording artist John Slade's new album I SING WALT WHITMAN is a companion to his outstanding one-man stage show by the same name, and a noteworthy and artistic tribute to the great American poet Walt Whitman. The spoken-word album was created using Whitman's own poems and letters put to music by John and ECS. Songs range from rap to world to revivalist foot-stompin' and everything in between. Some days we collaborated on-the-fly with treated e-bow guitar and drum loops, other days we created full songs from scratch or simply recorded piano and vocal--as was the case with this example. The four-song encore on the 18th that includes "Rock Me Baby," "Going to N.Y. Blues," "Maggie M'Gill," and "Gloria" were only unleashed once. During that same finale, former Lovin' Spoonful co-founder John Sebastian (harmonica) is invited on-stage. 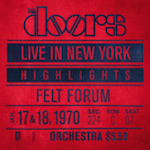 According to Bruce Botnick's "technical note" found in the accompanying liner notes booklet: "When John came onstage to join The Doors for the Sunday second show encore, he was handed a microphone that was only going through The Doors' sound system, and not plugged into the Fedco Audio Labs mobile truck. As a consequence, John's harmonica didn't get recorded. So, earlier in 2009, we arranged for John to join Ray Manzarek and myself at Skywalker Sound in San Rafael. John replayed his parts as closely as possible against the PA leakage from the audience tracks on the original recorded 8-track masters." 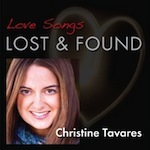 The magical combination of Christine Tavares' velvety and sure voice, the thoughtful and imaginative songwriting of John Morell and the creative musicians gathered for these sessions transports the listener to new, yet strangely familiar, territory. For me, it's like listening to the soundtrack to a James Bond movie. This track is one of several for which ECS provided sweetening and remix services. 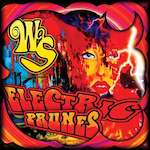 While a new release of these remixed tracks has not yet been distributed, the cuts on the original CD (linked above) are terrific. Adena's cool and immediate vocals, unique style and minimalist approach to her music were the first things I noticed when she sent me her track "Contrast" for additional production, sweetening, and mixing. Together, we decided on an open and european direction—with minimal but bold "moment-driven" effects—for the additional production and mix designed to compliment, not overshadow, this beautiful song. 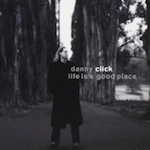 Danny Click's LIFE IS A GOOD PLACE evokes both a profound sense of loss and the wonder of transformation. His songwriting continues in the tradition of the Texas greats. 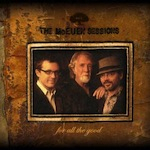 This album is a heartfelt collection of wide-open songs of struggle and redemption. 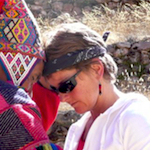 The stories lead us seamlessly through a range of emotions that closely follow the highs and lows of life itself. Ever the perfectionist, and someone who clearly and rightly knows exactly what he wants to hear and when it has been achieved, Danny's musical vision led us to record his acoustic guitar with no fewer than four (and sometimes five) mics from various listening perspectives. Dig. Oscar®-winning actress Mary Steenburgen is also a killer songwriter and singer. 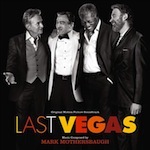 This track "Cup of Trouble" (co-written by her) is one of several Steenburgen-penned songs included in the CBS Films release LAST VEGAS (their highest grossing film to date) and features Mary's beautiful smooth jazz singing style. 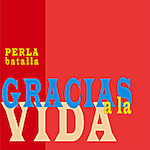 Working with Grammy® nominated vocalist Perla Batalla is one of my great joys--both on the road and in the studio. We've grown to know one another so well that working on albums together is nearly effortless and always magical fun. Tracking and mixing the songs of GRACIAS A LA VIDA was no exception. Her pitch and instincts are dead-on and we seem to have the same thoughts at the same times. She's a dear friend and an amazing singer. Don't miss her performing live! Singer/Songwriter Jodi Brandt's sunny style and wry sense of humor shine brightly in her debut release BAD WAY, and album that epitomizes the genre California Country. Collaborating with Jodi on these songs was so much fun and together with pianist/organist/saxophonist Jim Calire we hammered out this six-song EP. Working on this project holds a special place in my heart as it's the last time I worked with bassist Mark Tulin. He was a brilliant musician and a great human being. Some tracks were cut and mixed together (like the example here) and others were done posthumously with vocalist/founding member James Lowe (whom I also completely dig working with!). Whenever I track bass nowadays I still use my lucky "Mark Tulin" bass pick from these sessions. Kenny Davin Fine is a passionate and prolific singer-songwriter, medical doctor, and spiritual Journeyman whose goal is to entertain, educate, and enlighten with his original, thought-provoking music. Combining the sounds of classic rock, country, and blues, Kenny has created a sound noteworthy for both its friendliness to the ear and its spirit-touching quality. As displayed in over 100 of his original songs, Kenny's lyrics reflect life's ups and downs, love found and lost, mystical and spiritual pursuits, and the important reality of just having fun. 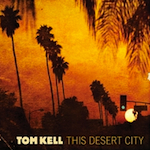 Singer/Songwriter Tom Kell's release THIS DESERT CITY is another one of my favorites. So many killer musicians on fire and the creativity was off the charts! Making things easier and more enjoyable was the camaraderie shared with producer Jeffrey Cox and co-engineer Jeff Evans, and the fact that Tom Kell is a dream to work with in the studio. His songwriting and delivery are natural, pure, and straight from the heart. I've been working with musical icon and Rock and Roll Hall of Fame artist Dave Mason for the last five years; and while some singers struggle to maintain the punch and fire of their earlier releases he just keeps getting better and better! The icing on this cake was tracking blues guitar with the great Joe Bonamassa as well. Joe's tasty guitar licks and killer tone coupled perfectly with Dave's vocals and guitar. Look for more from these two in the not-too-distant future! Live is continuing to grow into their ambitions, as "Love Shines (A Song for My Daughters About God)" indicates, but they remain invigorated on their seventh studio recording. 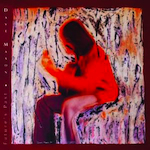 They deserve some credit for that as they've been at this rock thing for awhile now, forming in 1988 and releasing debut Mental Jewelry in 1991. Not to be confused with Jeff Beck's identically titled 1968 album of crackling blues-rock fusion, this disc incorporates Robben Ford's unique blend of blues and jazz, but not rock. His first studio outing in four years shoehorns his traditionally biting, incisive-yet-clean guitar licks into songs that can't easily be pigeonholed. Sarah came in with some tracks she'd previously recorded and wanted mixed. Upon further review and consultation she decided to go in a more experimental direction than what the base tracks had to offer. The live drums and bass were fighting one another initially, but a little bass-driven gate trickery breathed new life into the groove and track, which in turn, inspired us both. I programmed some trip-hop and dub-step beats, and liberally applied and created new effects to fit her mood. Sarah's voice reminds me of Karen Carpenter: tremendous control and a purity that befits her approach to life, and her music. A lyrical fusion of gothic, folk, industrial and psychedelic influences, this Ojai, CA band is intent upon manifesting a unique sound that represents the varying musical backgrounds of its members. Singer/songwriter Attasalina sets the haunting and soulful tone of the project with her powerful vocals and passionate performance. The group approached me seeking sweetening (bigger and more defined drums), vocal engineering and arrangement (check out the round-robin vocals at the end! 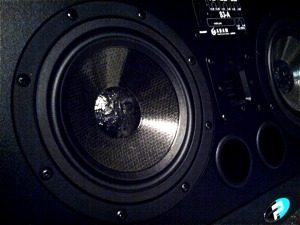 ), and an effect-laden, but live sounding, mix. Terrific fun tracking and mixing on this "countrified" version of the Dave Mason hit "Only you Know and I Know" with the McEuens and singing backing vocals (highest part) as well. Man, these boys can really play and sing. Good times hanging out and working with the boys and Dave. Instrumental ambient debut by San Diego collective Starline Theorie. The core group of bass, drums, and two guitars is joined on stage and on record by a rotating cast of singers and players. The vocalists ""vocalize"" more than sing lyrics and the additional instrumentation (dumbek, sitar, piano, trumpet, djembe, cellos, flutes) lends a global feel to the album. Listen to "before and after" production examples of how Eros Creative and Sound helps artists to produce and fully realize their songs. I've heard from two of the Doors, you did a fantastic job! Client was seeking a California pop/country-crossover feel. Co-writing, song and vocal co-arranging, engineering, mixing and full production. Written as a pitch for the "Twilight" movies, the track focused on remaining simple yet blooming into a cacophonous ending. Song co-arranging, engineering, mixing, moderate production and mastering. This artist asked for a "fun" track with a nod towards bluegrass music. Co-writing, song and vocal co-arranging, engineering, mixing and full production. This song was presented as an a Capella iPhone recording with the request to make it to sound like a lullaby. 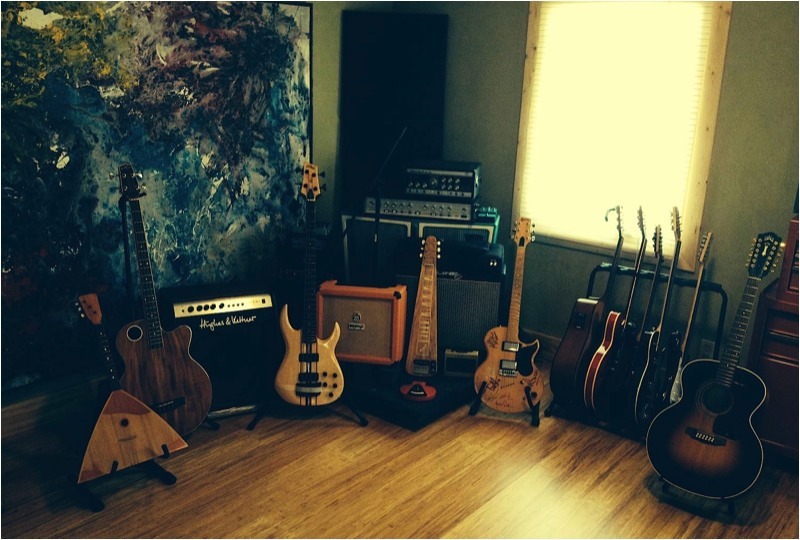 Song co-writing and arranging, engineering, mixing, full production and mastering. Client came in with a poem and no songwriting experience. We wrote additional lyrics and created this "blue-eyed soul" track. Song co-writing and arranging, engineering, mixing, and full production. The request was to transform a ballad into a "Bon Jovi" style anthem-rock track. Song and vocal co-arranging, engineering, mixing and full production. This up-and-coming pop singer wanted to turn her guitar and vocal demo into a fully produced and contemporary video/radio ready track—one which would highlight both her songwriting skills and unique vocal style. 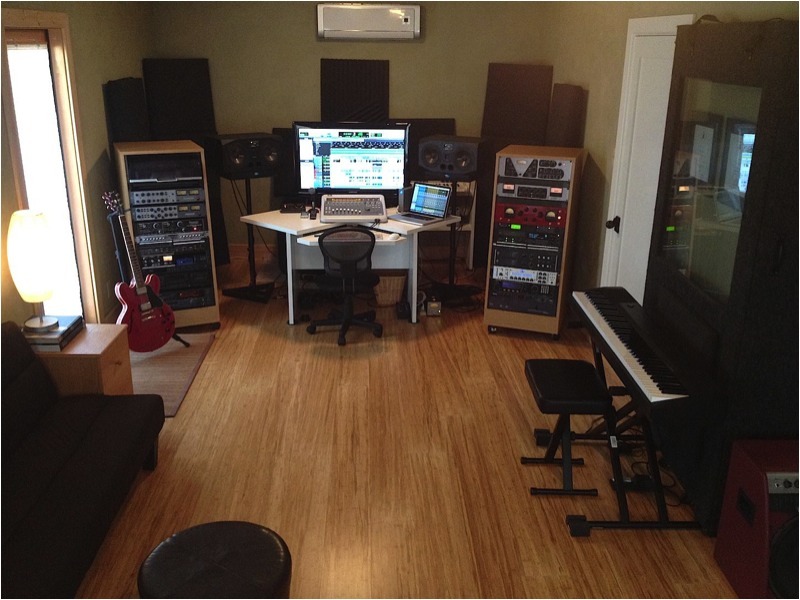 Song and vocal co-arranging, hook-writing, engineering, mixing and full production. Artist wanted an overhaul to this song in an effort to better capture the mood offered by the lyrics, and asked for a "Fleetwood Mac" feel to the backing instrumentation and performances. 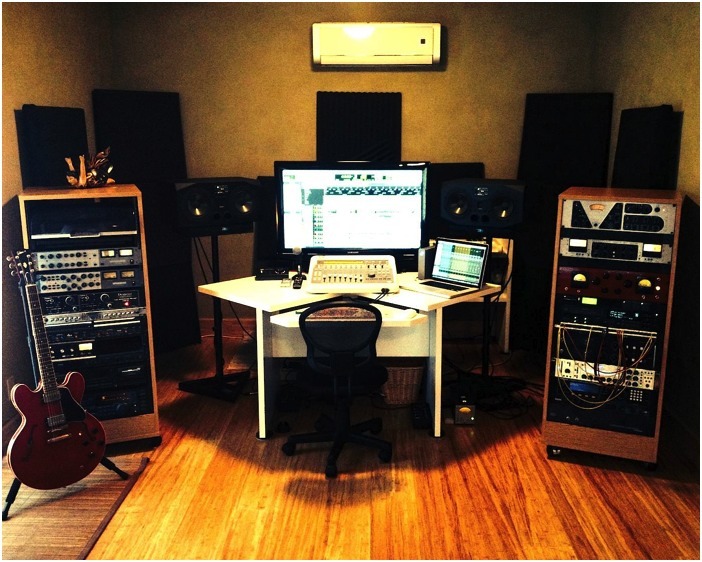 Song and vocal co-arranging, engineering, mixing, full production and mastering. Home studio tracks were brought in and supplemented with newly recorded elements to give this song more pulse and fullness with a 70's feel. Song co-arranging, engineering, mixing, and moderate production. This artist wanted the finished track to have an open feel with emphasis on the vocals and her simple piano style. Song co-arranging, engineering, mixing, full production and mastering. "Make it sound like The Rolling Stones meets The Beatles" was the request from this artist. Song co-arranging, engineering, mixing, full production and mastering. Depending on the services, a refundable* deposit is required to book a session. 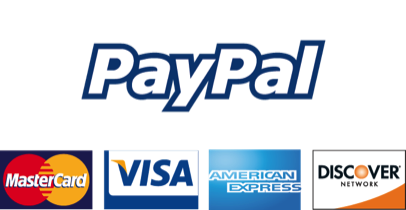 We accept cash , personal checks, Paypal, and these major credit cards. *24-hour courtesy notice of cancellation is required. The best outside engineer I have yet worked with. Scan the QR code below to add ECS to your smartphone contact list; or sread the word through social media; send and share large project files using Dropbox or Hightail; or just get in touch with us by Email or phone. I love this studio... especially the cute engineer! Email us for bookings or general inquiries -- we'll reply within 24 hours. Call 1.805.746.6312 to discuss your project.